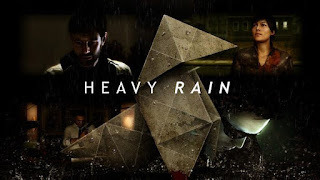 Quantic Dream's classic game Heavy Rain doesn’t live up to the expectations of those of us that played Detroit Become Human before playing this game, but that doesn’t at all make this a bad game. The game follows four different characters (Ethan Mars, Madison Paige, Scott Shelby and Norman Jayden) as they all attempt to uncover the mystery of the Origami Killer, a dangerous individual who kidnaps kids, leaving their parents with an origami figure and a riddle leading them to a number of tests to determine how far someone's willing to go to save their child before the killer drowns them in rainwater. Ethan Mars’ son Shaun is the most recent victim, and Ethan must pass these tests to show his courage and love for his son, with journalist Madison Paige looking into leads as to who the killer could be, alongside Private Detective Scott Shelby and FBI Agent Norman Jayden. The game, like both the other famous games that Quantic Dream brought to PS4, has multiple endings to it depending on who, and how many, of the characters the player can get to discover the killer in time. Some of these endings involve some pretty dark stuff, from one of the main characters committing suicide over his son’s death to Madison and Ethan finding a place to live together with Shaun and being able to finally live a normal life. Interestingly, this desire for a normal life in characters seems to be a common theme in all three of these games. Detroit Become Human shows this in the characters of Kara and Alice, who both want to find a normal life after Alice’s abusive father hurts Alice enough to make Kara act outside of her program and protect Alice, as they run away in search of a better life for both of them and whether they find that depends on how the game ends. This is similar in Beyond Two Souls, except for the fact that the character Jodie in that game doesn’t seem to be able to find a normal life, because Aiden is always with her, but towards the end of the game she discovers that it doesn’t matter that her life isn't normal, as long as she can do what she can to avoid having to commit any cruel acts for the military or be the victim of any more experiments. 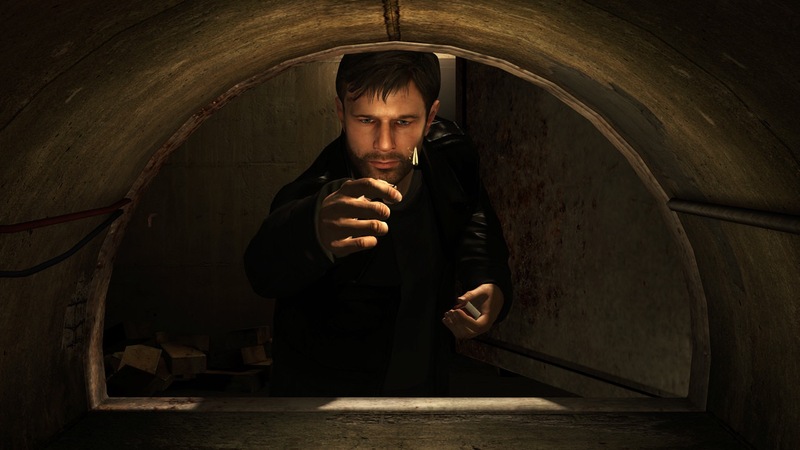 And of course, it's also shown in this game, Heavy Rain, because since Ethan and Shaun are still struggling with the loss in a car crash of Ethan's son, and Shaun's sibling, Jason, they just want the chance to be able to move on and remember Jason with fondness instead of sadness. This is also yet another game that tests the humanity of the player since it relates to family and what you’d be willing to do for them. The fact that, early on in the game, you witness one of Ethan's kids, Jason, get killed, you instantly feel empathy for the remaining characters because you see how they're behaving over his death (and the previous murders of the Origami Killer) and from there you, like Ethan, don’t want Shaun to die too. I also love the fact that in this game you get to see the perspective of the villain, showing you the killer’s past to understand his motive, as well as speaking to his mother to find out what he loved doing as a child and uncovering important clues about his life. I’ve found that you don’t often see this in typical cop shows, at least not to the point where you feel sorry for the killer but still want them to lose because of the horrible acts they’re committing. The game takes advantage of the fact that it lets you switch perspectives in the story, and lets you play as the killer in their younger years, which helps the player to put themselves in their shoes, which is really what made me feel empathy for me. And depending on if you do feel empathy for the killer leading to the climax, you can choose to attempt to help him or leave him to die, giving the player another ‘test for their humanity’ if you like. As I mentioned earlier, Heavy Rain doesn’t meet the standards of Detroit Become Human and, for me, it’s because it has many moments where the player has to be involved, and possibly a little too many. 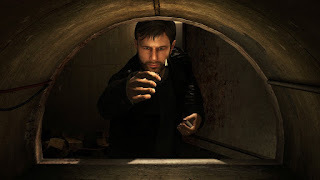 As this company has evolved over the years, it's become clear that they’ve learned to make some scenes in their games more cinematic than interactive, which for me makes a better experience, because there were a few times in Heavy Rain, when you're just controlling Ethan to do some everyday tasks, with the player controlling Ethan to do all of these things. In the earliest moments of Detroit, we also see this, but after the player has interacted with an object, the player doesn’t have to do all of it, helping the plot to move along faster and reaching points of interest sooner, to keep the players invested in the game. I also noticed that the look of the game didn’t hold up as well as the other two games created by Quantic Dream, despite the fact that it was even remastered to have better graphics than it originally had. This is likely due to the fact that the original version of the game came out in 2010 with the PS3, a year that could be considered as the early days of motion capture, with the remastered version being released in 2016 for PlayStation’s current generation of console. I don’t believe that the graphics should discourage anyone from trying out a game, and it is something you can adjust to as the game goes on, but if a potential players of the game does notice this from watching trailers, it might lead them to not buy the game in the first place. One other issue I witnessed when playing Heavy Rain was that the game randomly crashed during a fight sequence in the game. It wasn’t anything a good restart of the game couldn’t fix but, again, it could be enough to put someone off continuing playing the game. However, if you like a good detective story, Heavy Rain is definitely a game I recommend you pick up, more than either of the other two games, simply because when the game does get going, in terms of pace, it gets tense enough to keep you interested more and more about who the killer is, and keep the player guessing, by looking over evidence as the FBI agent and figuring out who it is yourself towards the end. This, as well as the combat sequences, do compensate for the negatives for this game, but these criticisms are still worth mentioning considering I couldn’t fault Beyond Two Souls and Detroit. Overall, I think the positives of this game far outweigh the negatives and would recommend this game to either anyone who's interested in a good story driven game, a parent with an interest in the story or any fan of a detective genre film or TV show because this game covers all of these audiences very well. All you need is patience with this one, and I can assure you, it will be worth the wait.